Canice Kennedy is an experienced sport psychologist, working as a coach to athletes in all sports and in the corporate world with AFRESH. In this informative and useful Egg Talk, Canice shares his perspectives on a vital component of preparation for any area of performance: sleep. Research is telling us that we’re not sleeping as much as we need to be, and that’s a problem. Canice speaks about the troika of good health: diet, exercise & sleep. You’ll learn about the importance of a good pre-sleep routine, and how preparation for sleep, like any vital activity, will ensure you get the most from it. Packed with practical tips, this talk is likely to ensure you sleep better in the weeks and months ahead! 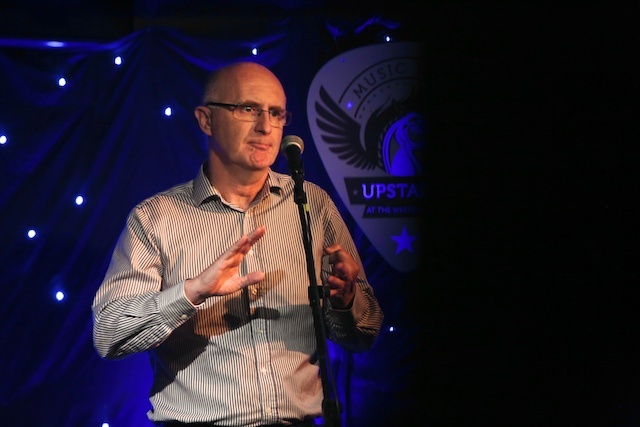 This talk was recorded at a Smarter Egg event at Upstairs at the White Horse, Ballincollig, Ireland in June 2016, also featuring Kathryn Thomas, Conor McCarthy & Neil O’Brien. The video footage was filmed and edited by AV3 Productions. If you would like to get first notice of forthcoming events along with more behind-the-scenes goodies, just sign up here. This entry was posted in Egg Talks, White Horse on November 7, 2016 by Aodan Enright.